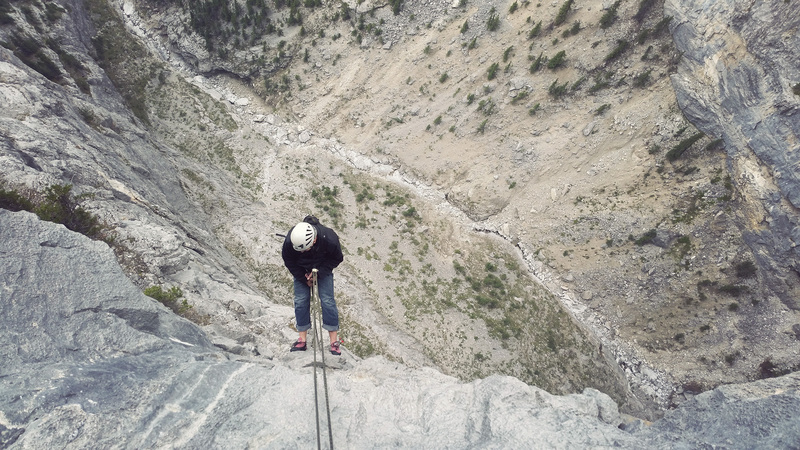 It has always been a dream of mine to climb a massive, unbroken, slightly overhanging wall. It was one of the main motivations for me to improve as a climber, so that one day I could access these routes. Back in 2015, I climbed The Tall Storey, a route that offered all that I was looking for and more. 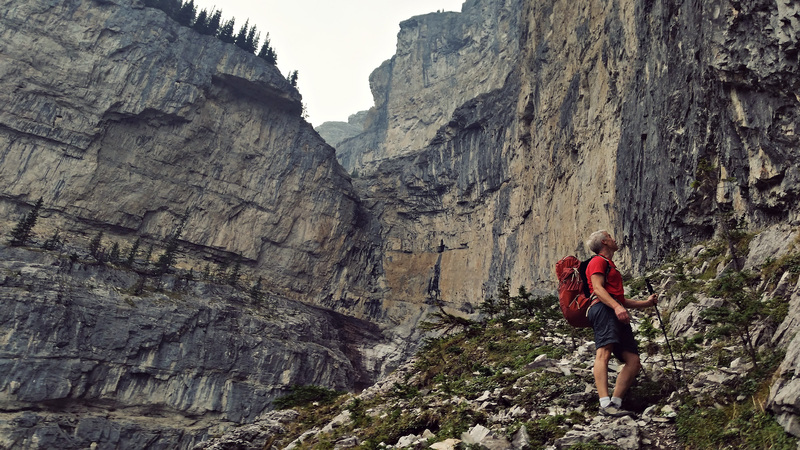 Built by Chris & Ian Perry in the early 2010’s, this project was a tour-de-force of effort, and really showcases the hard work and dedication that the Perry family has given to the Bow Valley Climbing Community. Another incredible contribution to what is already one of the best climbing zones on the planet. The route rises over 1000′ from Echo Canyon in Grotto Mountain. It is slightly overhanging almost the entire way, with a stunning overhang on the very last move of the last pitch offering absolutely incredibly exposure. Echo Canyon itself is a magical place, offering a special kind of alpine ambiance that is hard to describe, and I haven’t experienced anywhere else. In the spring, there are incredible waterfalls roaring through the valley, and in the late summer, you can incredible light hitting the Tall Storey wall in the late afternoon. The climbing itself is absolutely fantastic… some of the best I have found anywhere. 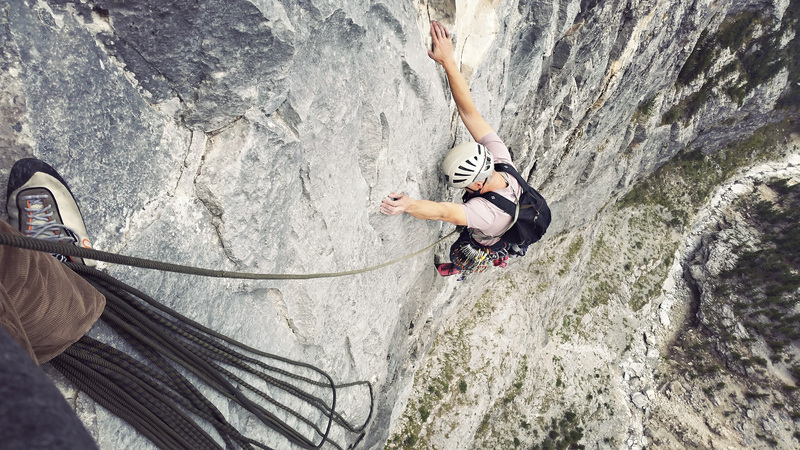 There are 8 pitches of climbing ranging from 5.10c to 5.11c (the easiest pitch is 5.10c). All pitches are fully bolted and are 30m or less. The business starts right of the ground with a complex 5.11c crux sequence in the first 2-3 bolts. Trend right, then left, then right again on tiny, difficult holds. The rest of the pitch offers some of the nicest 5.10+ I have ever come across. The second crux pitch, offering sustained 5.11/5.11+ climbing for the entire pitch. Pull a small roof, and move into the shallow corner all the way until the anchor. I combined pitch 3/4 to make for a very long 5.11b pitch. I don’t recommend this… I actually just missed the 3rd anchor, and ended up continuing up the wall. The rope drag was insane, and I ran out two bolts of tricky slab at the top of pitch 4 because I had no draws left. I don’t really recommend this method. Pitch 3 is a long, easy traverse left, before gaining the 5.11b corner above. 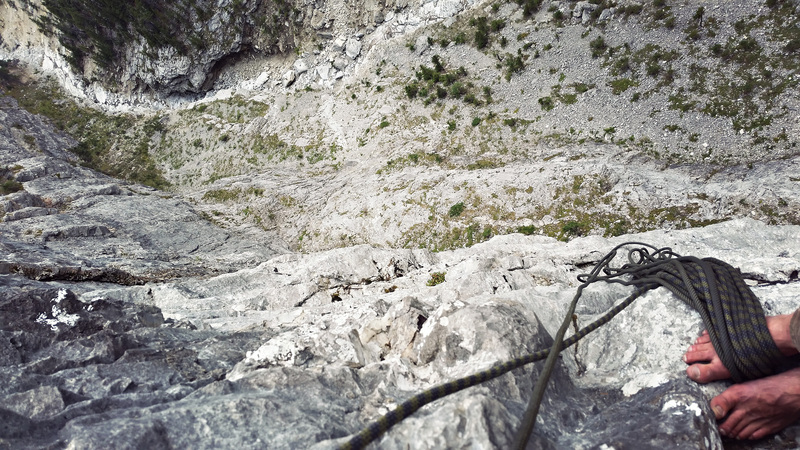 The best pitch of the whole route – Staggeringly awesome 5.10c overhung climbing almost 1000′ off the deck. Incredibly memorable, and incredibly fun. As far as climbing quality and fun, this is the money pitch. 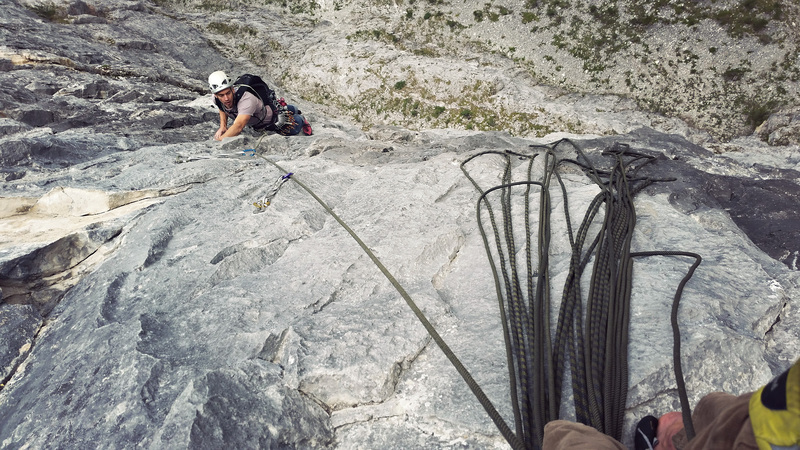 It is recommended to combine pitch 6/7, even though you will end up with some rope drag. The final pitch offering some fun slab before pulling a big roof right at the top of the route. Don’t fall here and blow your onsight! What a way to finish the route. You can descend by walking off to the right, however this option is not recommended due to objective risk. We rappelled the route, which was pretty straightforward with the exception of the first rappel, which involved swinging back into the wall at the end of the ropes. Not ideal, but it is possible.